Castle Tour bookings can only be made when you arrive at the Castle. 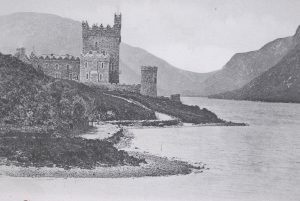 The hauntingly beautiful Glenveagh Castle on the shores of Lough Veagh…. 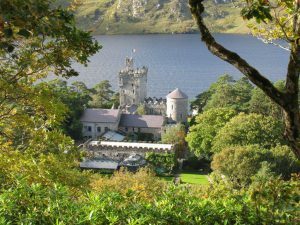 It was designed by John Townsend Trench, a cousin of its builder and first owner, John George Adair, with whom he had been raised in Co. Laois. 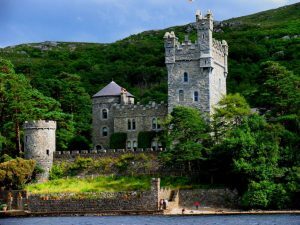 The designer appears to have imitated the style of earlier Irish Tower-houses adding an air of antiquity to the castle. The building stone chose was granite, plentiful in Donegal but difficult to work and allowing for little detail. Limited tours throughout the winter. Please call 0761002551 for more information.